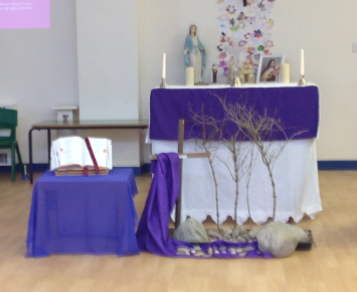 On Wednesday we had our Ash Wednesday Mass in school which was beautiful and many thanks to Father Chris for saying Mass for us. Lent is an extremely important time for us in school and it is a great opportunity for us to reflect on the past year and look ahead to the future. Throughout Lent there will be lots going on in school and you are all welcome to join us for our class liturgies on a Friday morning.